At www.gibraltar-stamps.com you will now be able to view order or request to find online all the Gibraltar stamps issued since 1886. Search for any stamp from any reign to find details, images and you may even have the chance to buy the stamp if available, If it's not available simply register an account and add the stamp to your wish list and we will get back to you within 5 working days with a price and original scan of the stamp or informing you that we have not been able tolocate the stamp for you. The historic section of our site is by far the most complete and exhaustive work online on Gibraltar stamps that have ever been produced. We hope you enjoy browsing through the pages and find the stamp you have been looking to add to your collection. You may browse through these stamps by Reign and by year. 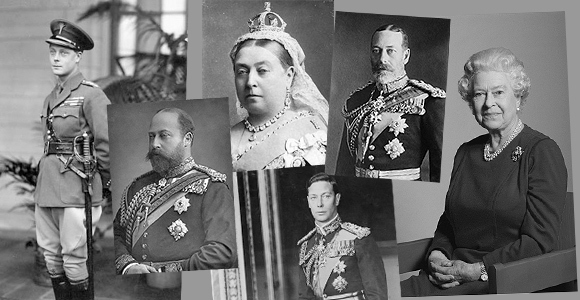 Since 1886 until present a variety of definitive and commemorative stamps were issued for the reigns of Queen Victoria, King Edward VII, George V, George VI and Queen Elizabeth II. No stamps were issued by Gibraltar for King Edward VIII. The dates of each reign are as follows.